When Liverpool signed Roberto Firmino, he’d just enjoyed his best season in a Hoffenheim shirt via the no.10 position. He was an attacking midfielder with creativity and vision, rather than the all-action forward he’s turned into under Jurgen Klopp. However, yesterday, Liverpool’s manager selected Bobby in a deeper role, with Dominic Solanke the central striker and our Brazilian sensation in a freer, creative position. 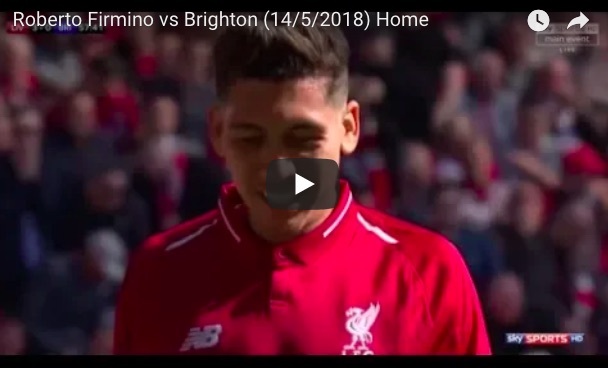 Below, you’ll see that Firmino picked up plenty of the ball in midfield and made a number of key passes into Mo Salah, Solanke and Sadio Mane from the space between Brighton’s defence and midfield. It showed that Firmino can thread a through-ball as well as anybody. Provided it’s centrally (he’s wasted on the left or right), Firmino is a wonderful offensive asset whether he’s the focal point or not.